I found these very, very tiny blue flowers in Jackson Garden and I took the challenge to capture the internals of one of the flowers. This meant laying on my stomach with the camera on the ground pointing somewhat upward. The depth of field of the macro lens provided the blurred background and the simple small size tended to make this one appear to be a painting. 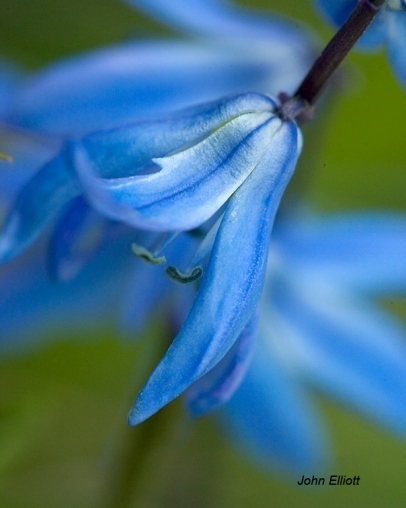 There aren't many blue flowers out there!